I took my 2011 T&C in for service this Saturday for an oil change. They took me in right away even though I had no appointment. I was greeted by two very friendly service advisors who explained my service needs. This was my first time at woodbine chrysler and I was very happy! Thank you! “IT DOESN’T MATTER WHERE YOU PURCHASED IT” We honor all Chrysler Canada Warranties. Welcome to Woodbine Chrysler, where our service meets your expectations. 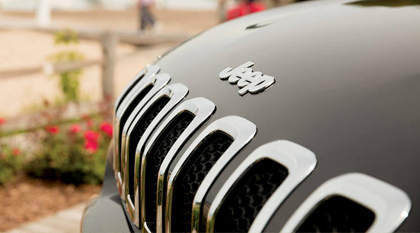 *Our Chrysler trained technicians have gone through extensive training to meet your vehicle’s needs. *We know your time is precious, for your convenience we now offer Mopar Express Lane Service. “IT DOESN’T MATTER WHERE YOU PURCHASED YOUR VEHICLE” or what make you are driving, here at Woodbine Chrylser, we service all MAKES and MODELS. We use genuine Magnetti Merrelli parts from Chrysler which are backed up by a 2 year unlimited km warranty for parts and labour. Preventative maintenance is a crucial component of your vehicles reliability. A well maintained vehicle could get you more on trade in value. So come on in, along with great service we also provide Free Wifi, In house Coffee and Tea, Complimentary Shuttle Services, and we even have a Discount Car Rental Service on site for your convenience. Woodbine Chrysler Dodge Jeep Ram is staffed with Factory Trained Service Technicians that perform quality dependable maintenance and repairs to your Chrysler vehicle. You depend on your vehicle to provide trouble free driving every time you turn the key on; when that doesn’t happen Woodbine Chrysler should be your next stop. We offer all MAINTENANCE and REPAIRS necessary to get your vehicle back to original condition. Preventative Maintenance is a crucial component of vehicle reliability; we offer “WOODBINE EXPRESS” oil change service – Done in less than 30 minutes!! Quick Service! Done in 30 Minutes! Our Service Staff receive on going factory training; have access to Chrysler’s Information Library and the ability to obtain current repair procedures. Our commitment is to “Right Service” our client’s vehicles. We honor all Chrysler Canada Warranties.